Innovative is proud to be Mercury's newest Value Added Reseller (VAR). Our focus as a Mercury VAR is to take this company’s excellent products to the market as complete systems and solutions. Solutions based on Mercury’s products must include reliable pre- and post- delivery support. As a licensed VAR, Innovative can provide product training, installation and configuration services, and on-site integration with other systems and components. Innovative becomes your first call should a problem arise, and issues are addressed aggressively until they are resolved. Innovative brings years of experience with Mercury’s systems and technologies to your product development team. 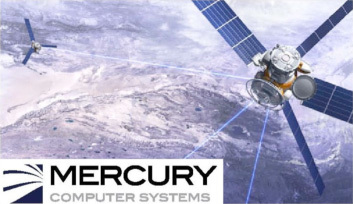 Innovative has been part of Mercury’s engineering development team as a trusted Strategic Services Partner, across a wide selection of their system and software products. We are the only company approved by Mercury to certify third party development hosts against releases of MC/OE, Solaris, Linux, and VxWorks. A core strength of Mercury and its products is the level of customization possible and expected by their customers. Innovative responds to customers’ unique requirements jointly with Mercury and independently, as appropriate. Hardware, software, and system modifications, re-engineering, and repackaging are services available to customers as needed. Infrared (left) and visible light (right) aerial images captured simultaneously with the CA-270 Dual Spectral Band Reconnaissance Camera. Recon/Optical's digital cameras incorporate Mercury's conduction–cooled RACE++™ Series PowerPC® G4 image processing multicomputers. The Sensor Stream Computing Platform is a VXS-based development system that harnesses the tremendous processing power of commercial Graphics Processing Units (GPUs) for high-performance, data-parallel computing in a broad range of defense and commercial applications. Built on Mercury’s in-depth expertise in algorithm and processor optimization, the six-slot Sensor Stream Computing Platform incorporates a Mercury VX6-200 dual dual-core Intel® Xeon® SBC, Mercury VXS-CC5020 dual MXM carrier cards, and up to 4 MxM GPU modules from AMD/ATI or NVIDIA. 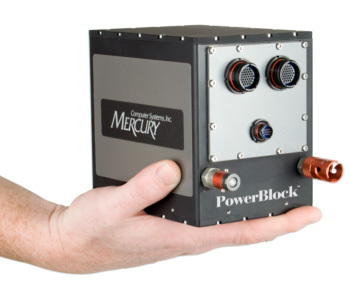 The PowerBlock 50 system is a high-performance, ultra–compact embedded computer designed for maximum performance in a minimal footprint, for small platforms with computing payloads in the 6– to 10–pound range. Optimized for real-time image, sensor, and signal processing and ruggedized for harsh environments, it delivers well over 100 GFLOPS of processing power, enabling new levels of sophistication for systems embedded in small platforms. The 1U Dual Cell-Based System 2 (DCBS-2) employs two Cell Broadband Engine™ (BE) processors to boost applications that demand a low acoustic signature in combination with the added density of the 1U form factor. The DCBS-2 significantly improves performance for computationally intensive high-performance computing (HPC) applications in medical imaging, industrial inspection, aerospace and defense, seismic processing, telecommunications, and other industries. Performance scales dramatically when the application is distributed among multiple DCBS-2 blades in a cluster or across the network. PowerPC processor, 8 SIMD engines, XDR memory and external interfaces. 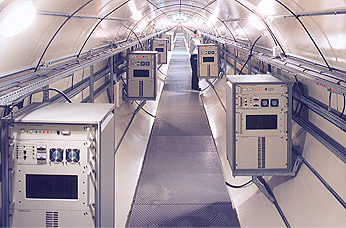 All components connected via high bandwidth EIB ring. Ensemble2, the first high-speed serial RapidIO® AdvancedTCA® development platform, is designed to address the architectural challenges of the telecom data plane with a scalable, standards-based architecture. Ensemble2 will provide full hardware and software integration for seamless interoperabilty with the latest silicon, and scalability of up to 14 processor carrier cards with 4 slots for Advanced Mezzanine Cards (AMCs) on each carrier. 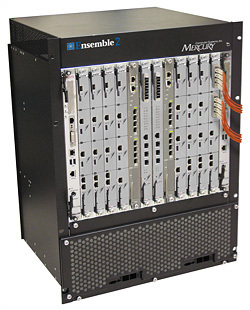 Ensemble2 provides up to 150 Gbps of backplane bandwidth to solve the most demanding applications.